Always cut your gingerbread pieces out AFTER baking. The raw pastry cutouts simply stretch or spread in the oven leaving you with a wonky house. Not ideal. 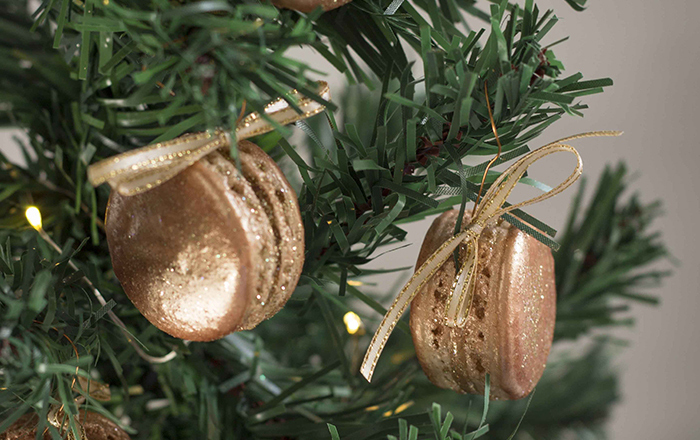 Stick the house together using caramel – not royal icing. Caramel hardens quickly giving the perfect structure. You can then pipe on royal icing afterwards if you’re going to keep the house for a few days. Gingerbread houses are one of the European traditions we’ve somehow inherited and while it’s fun to dust them in icing sugar and pipe on icicles hanging from the windows, it just doesn’t make sense in our 30 degree summer! 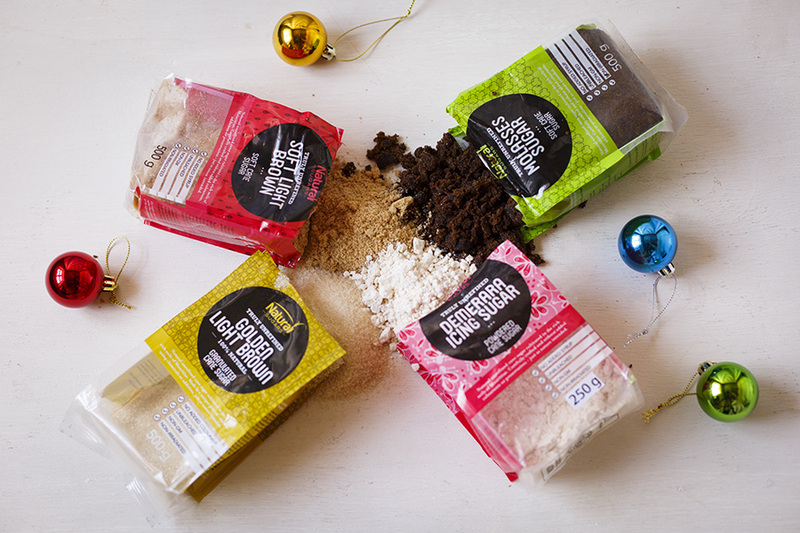 For us South Africans, Christmas is about having sand between your toes, licking a quickly-melting granadilla lolly and (depending where you’re holidaying) attempting to swim in the frigid Cape Town waters or basking in the warm Durban ocean! 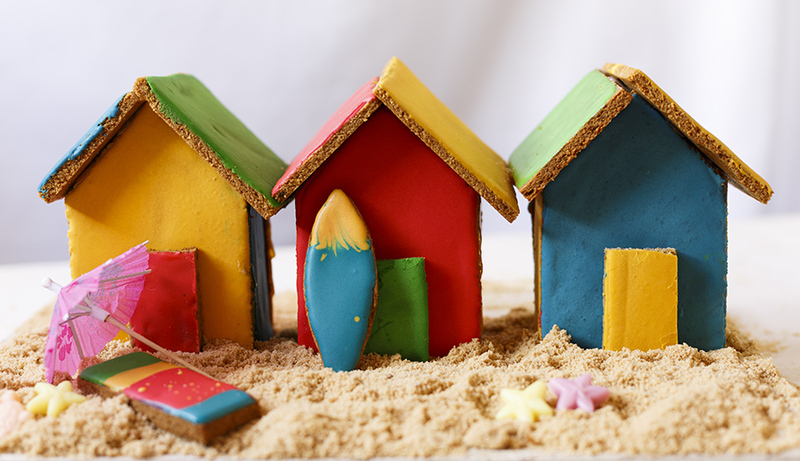 Since I’m a Cape Town gal, I decided to create a house that reminds me of a South African summer; so why not recreate the colourful Muizenberg beach huts – in gingerbread! Not all gingerbreads are created equal – especially if you’re going to actually eat them – which if you aren’t, what is wrong with you?! 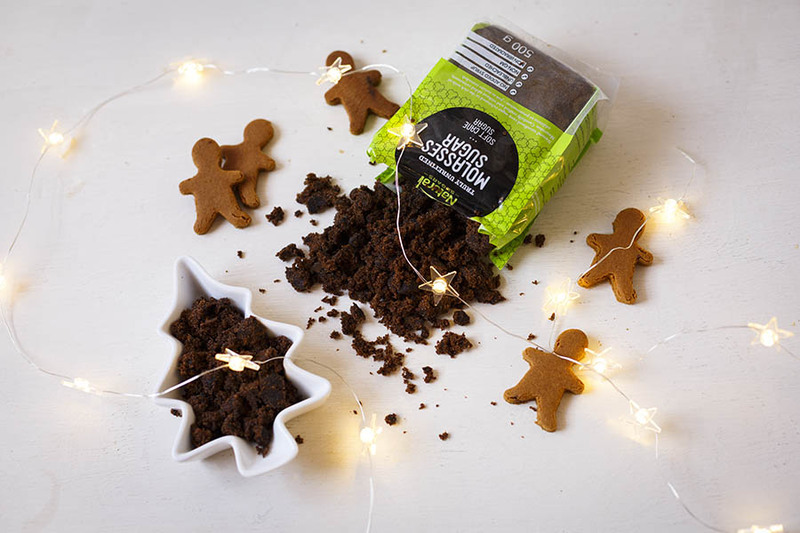 Traditional gingerbread is all about that dark, deep molasses flavour so when Natura Sugars gifted me with their new Molasses sugar, it was a sign! 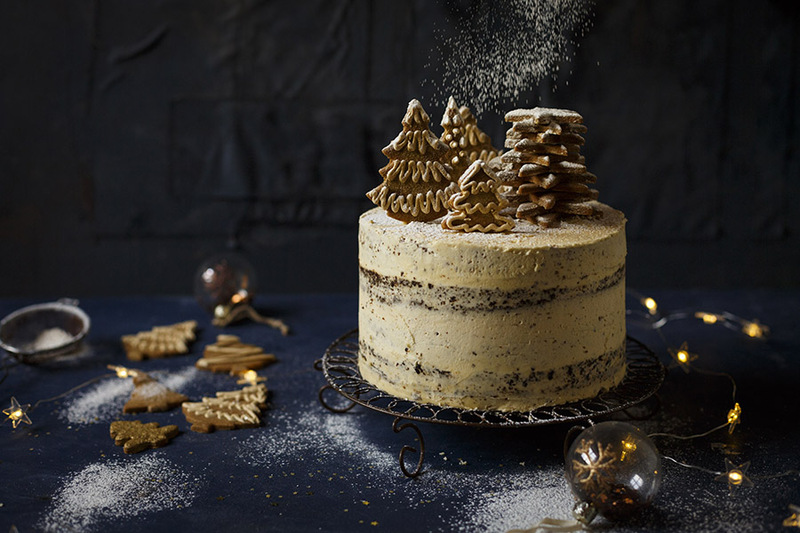 Because it’s unrefined, it’s oozing with flavour and just takes any gingerbread to a whole ‘nother level! I’ve used 3 other kinds of Natura Sugars in this recipe (because, well, why not?! ); demerara icing for the ‘bright paint’, light brown sugar for the caramel ‘glue’ and the silky soft brown sugar makes the perfect beach sand! 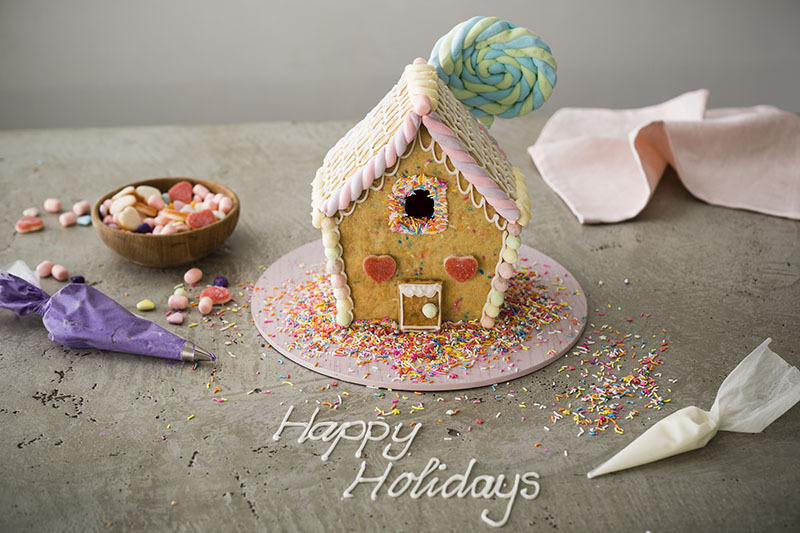 Happy Holidays everyone – enjoy the time with your family, eat a gingerbread beach house or two and forget about the calories. Life is too short . Preheat the oven to 180C. Cream the butter and sugar well until very pale and fluffy. Add the syrup, flour, spices and bicarb and mix until a smooth dough forms. Roll the dough out on a floured surface or between two sheets of baking paper until 5mm thick. Refrigerate for 30 minutes if too soft. Bake in the preheated oven for 8-10 minutes or until golden and crisp. While still hot, cut out templates using a sharp knife. * If you want, cut out doors, a beach towel and a surfboard from the off cuts. Set aside to cool. To make the royal icing, whisk the egg white gently then add the icing sugar until a stiff paste forms. Add the lemon juice. Divide the icing into 4 bowls, colour the batches in red, blue, green and yellow. Ice the biscuits with the royal icing, using sweets to decorate if desired. Allow to set completely. 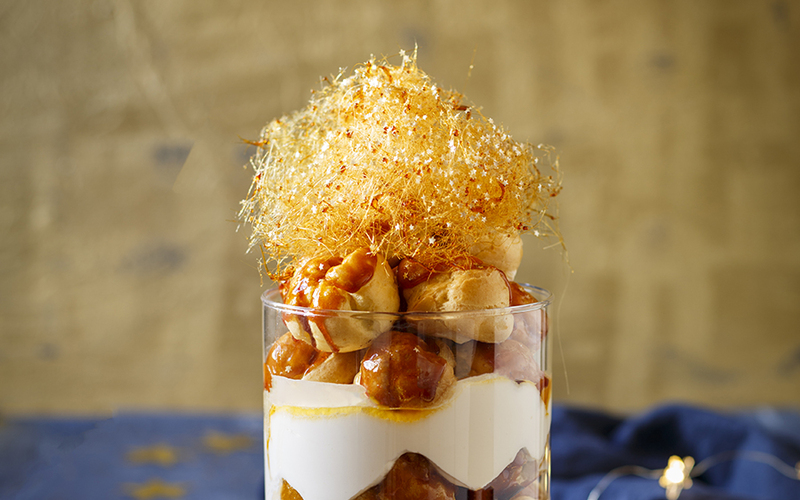 To assemble, prepare the caramel by placing the sugar in a saucepan with 2 tbsp water and heat until dissolved. Bring to the boil and simmer until golden brown. Remove from the heat. 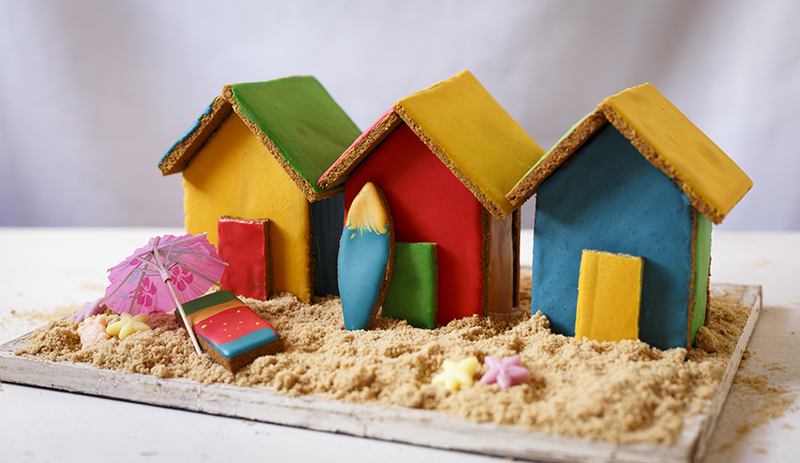 Use the caramel to glue the beach hut together onto the cake board. 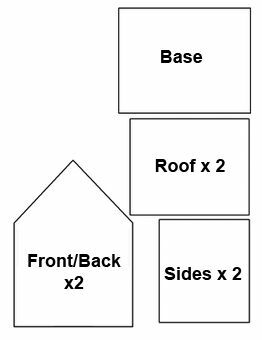 Then glue on the roof and decorate as desired. 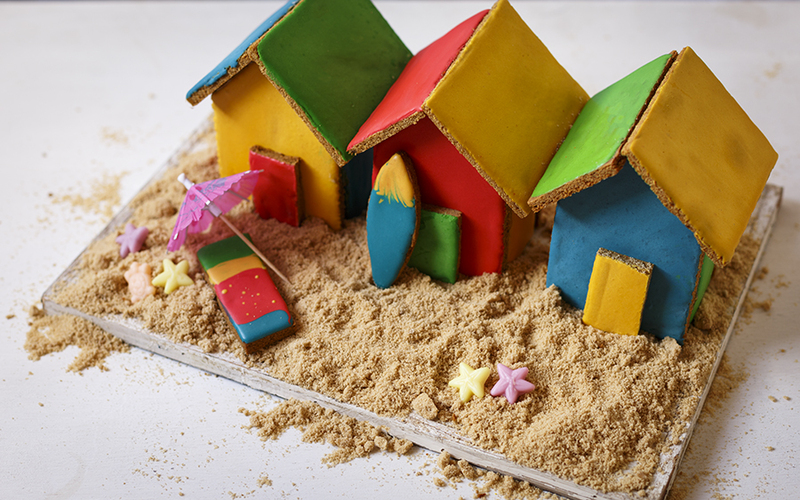 Sprinkle the soft brown sugar around the base for ‘beach sand’ and arrange the beach-themed sweeties around. 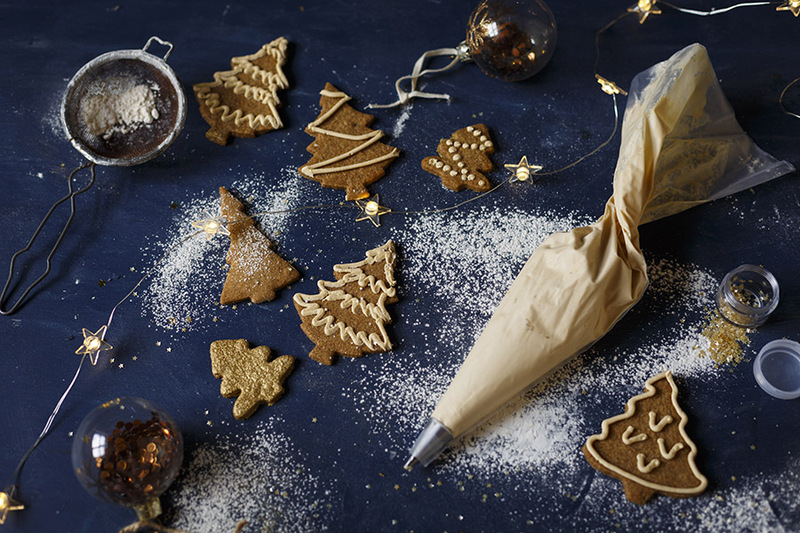 TIP If the gingerbread gets hard, simply pop it in the oven for a few minutes to soften up.